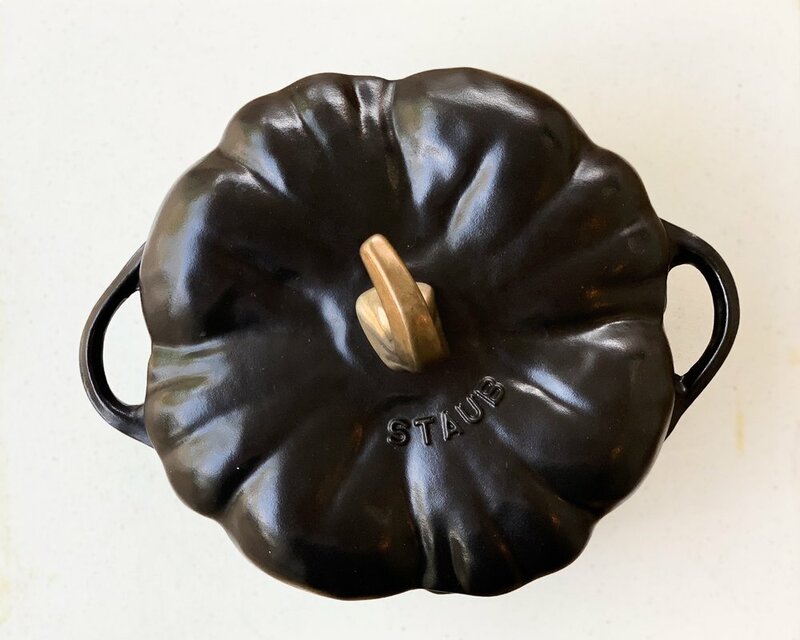 This 3.5 quart dutch oven will be your go-to for all things fall! Soups, chilis, pumpkin bread - you name it! Think of how beautiful this will look at your Halloween themed dinner party or Thanksgiving with the family. 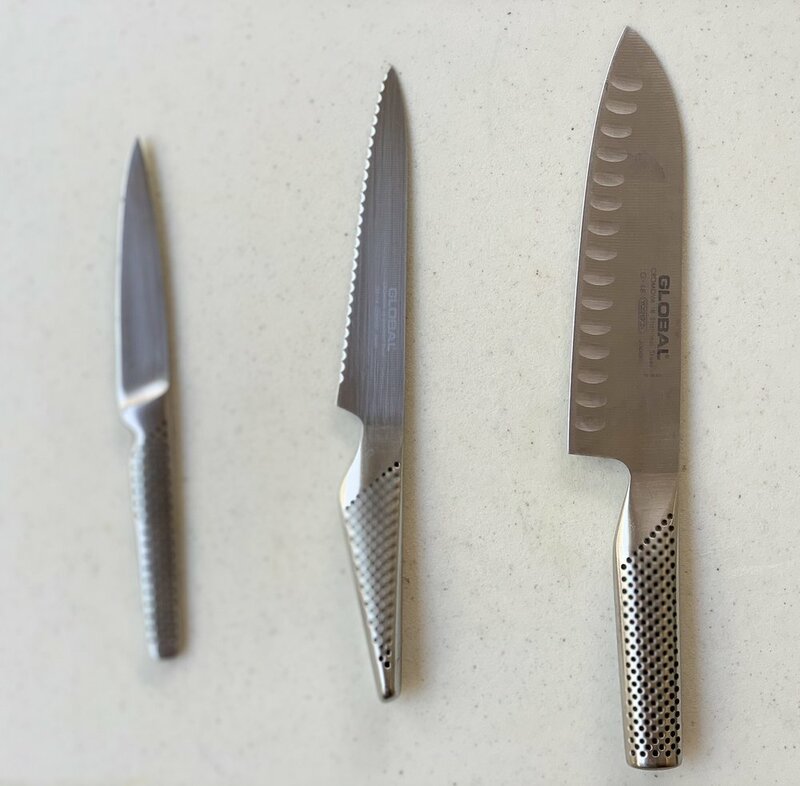 Probably the number one thing every home cook should have is a good quality knife set that have been recently sharpened. I have a few different knife sets and I always find myself going back to my Global Santoku knife again and again. I’m also a huge fan of their 6” serrated utility knife and Global steak knives. These scoopers get more mileage than you can imagine. From portioning out cookie dough to perfect cupcakes every time. 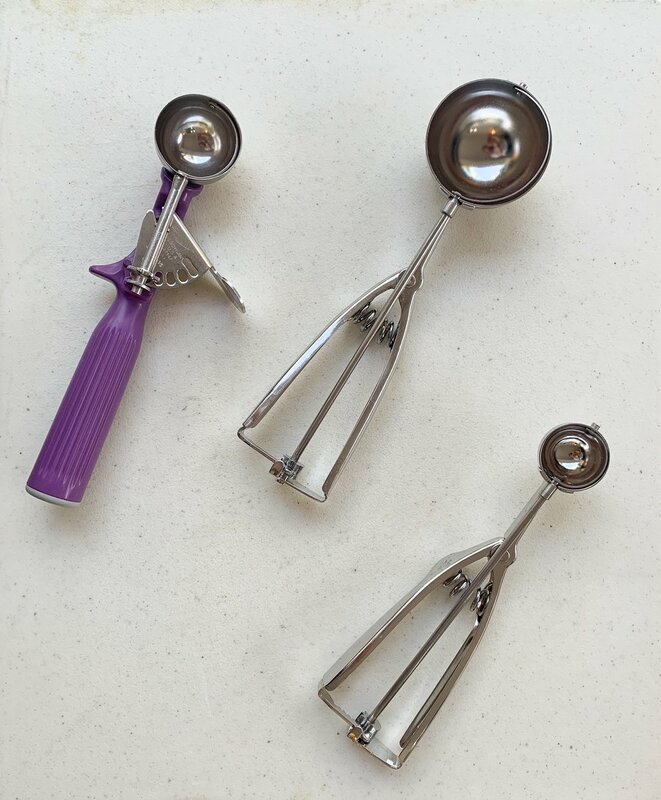 There are various savory applications for these handy tools and the small, medium and large size variations you can be certain to get the perfect scoop size that you’re going for. These measuring cups look like little All Clad pots, they’re so cute and they get the job done. I got this scale when I was in culinary school and it’s been my trusty baking essential ever since. 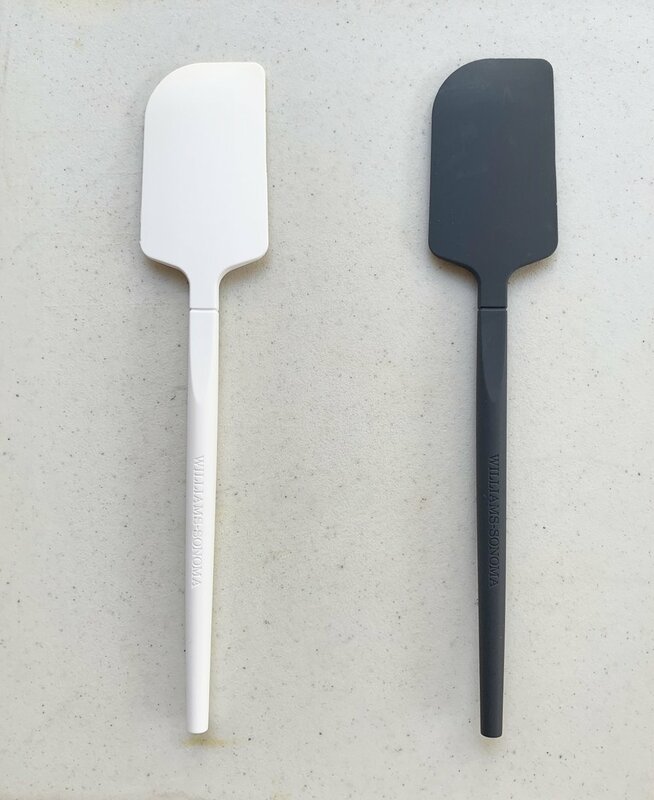 These all silicone spatulas are perfection. Stop scratching your pots and pans with metal tools. Scrape every last morsel from the mixing bowl. When you’re done, throw it in the dishwasher. Nuf said. My love and appreciation for this simple cook’s tool began in culinary school when we used these metal mixing bowls for EVERYTHING. I have a set of glass nesting bowls but I find myself reaching for this utilitarian stainless steel variety. Use it as a countertop trash or compost bin. They help you stay organized in the kitchen, which makes you a more efficient cook. Try making your salad in one, it will be the best salad you’ve ever made. These are just two examples of the many uses that you will get out of this simple tool. Get at least three! I love a giant, thick, wood block style cutting board. They look great on your kitchen island but they are not practical for your everyday chopping and cutting needs. 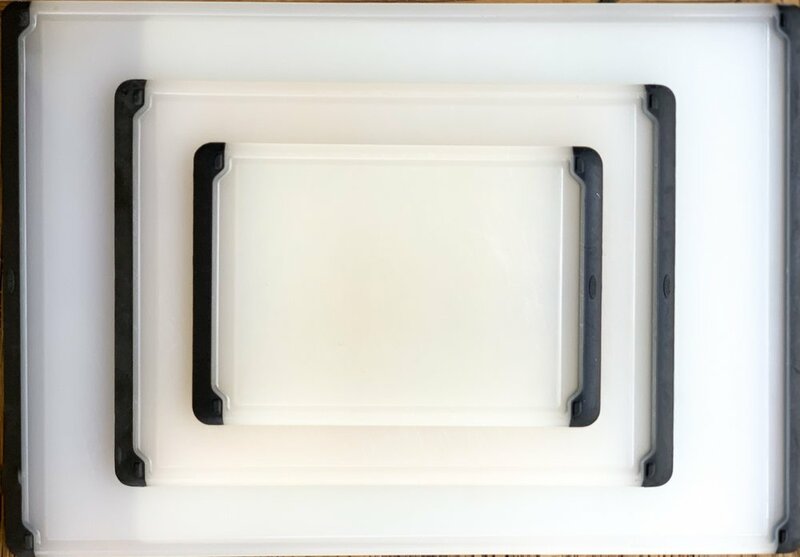 These particular plastic and silicone rimmed cutting boards are my favorite. They are easy to use whether you are chopping veggies or slicing into a juicy steak. They are easy to clean between recipes or I can sanitize them in the dishwasher if needed. This is a great all-in-one steamer and soup pot with lid. This is a tool you will definitely want if you are trying to incorporate more veggies into your diet. I find myself quickly steaming broccoli for a healthy addition to my kid’s saffron rice and chicken dinners. Steam cauliflower for a delicious (and healthy) cauliflower purée soup. I have three pairs of these sharp AF office supply scissors and they haven’t failed me yet. It’s just a good idea to have a few pairs of pretty scissors for the kitchen, ya know? I use it for cake or cookie making. Old school. Immersion blenders are a fantastic option for those large, one pot soups. You don’t have to transfer the soup to the blender batch by batch, instead you can purée or lightly blend right there in the pot. Less dishes to clean is always a bonus. Bamix makes a great corded immersion blender but there are also cordless variations. 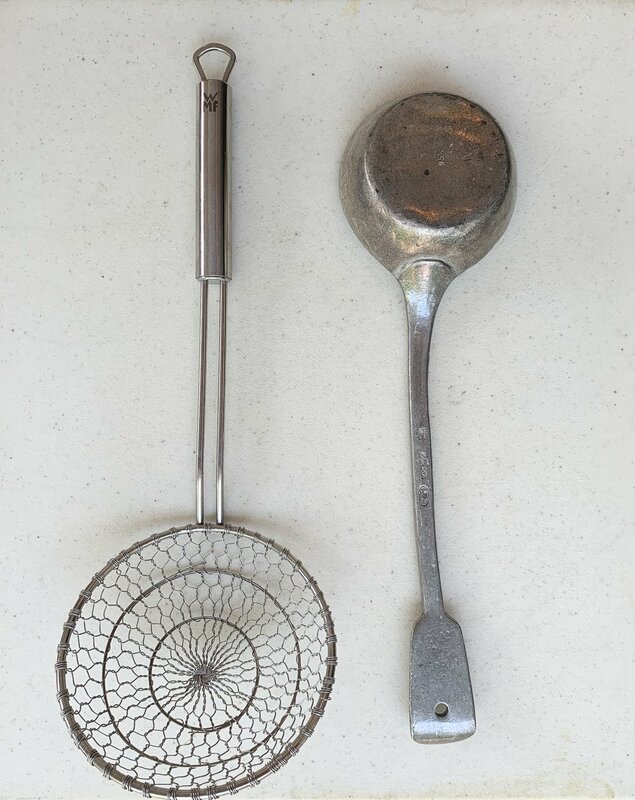 This is a beautiful antique spoon that doubles as an everyday serving spoon and a special occasion serving piece. It’s heavy duty enough for everyday use yet delicate and pretty enough for holiday party service. The spider is perfect for catching gnocchi in boiling water as well as scooping up fried foods or cooked ingredients from a stock pot. I use it even when i’m poaching tortellini for a quick dinner for the kids. THIS! Lemon zest, garlic, parmesan cheese, the Microplane conquers them all. This has got to be in the top three of every chef’s most loved kitchen tools. Ceramic, non-stick sautée pans, one large, one medium, one small.